Camera trapping is a great tool for wildlife monitoring but it produces vast volumes of data that can overwhelm time-poor scientists. ZSL has mobilised the power of the crowd with a second-generation version of its pioneering Instant Wild mobile app, which enables more smartphone users than ever before to join the fight to save wildlife. Visit instantwild.zsl.org or download for free from the iOS or Android app stores. The app transmits live video and images from motion triggered cameras (often referred to as camera traps) in key wildlife habitats around the world to users’ smartphones, enabling anyone to become a virtual volunteer by getting involved in vital conservation work from the comfort of their armchairs. Instant Wild was the first citizen science project to deliver live imagery, collecting camera trap photos of wildlife and sending them to the public in real-time. The app has built a large, devoted community of citizen scientists who help analyse the vast amount of data produced by these cameras. Scientists use the valuable data they provide to track key information on threatened species, from the size of animal populations to evidence of wildlife crime. Instant Wild also delivers live video of rare species straight into users’ everyday lives, inspiring them to take a step out of their daily routine, on the train, at breakfast or at work and shift their perspective to conserving our natural world. Originally launched online in 2011, Instant Wild has sustained a devoted community of over 6,000 users making more than three million identifications. Since its launch, the app has helped to track the status of the world’s species and protected areas, with over 130,000 downloads, and over a quarter of users reporting being inspired to engage in other conservation activities. Over the past six years, these data have supported conservation work across the globe, from the monitoring of African elephant movements across the Lewa Wildlife Conservancy in Kenya, to contributing sightings of the Critically Endangered Javan leopard in Indonesia, helping confirm the existence of this species in an area where it had been thought extirpated. Over 2018 and beyond we will continue to add conservation projects. From the soaring treetops of the Amazon rainforest, to the shores of the Thames Estuary, the app will be working hard to enlist virtual volunteers in support of our teams on the ground. Instant Wild 2.0 will be integrated within education and learning landscapes and as a platform for calls to action on conservation issues, helping more citizen scientists than ever before support ZSL’s work around the world. 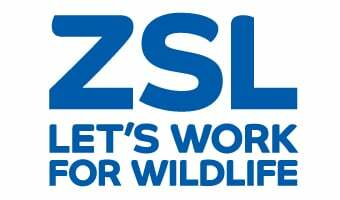 If you have a conservation project you need help with, or would like to support the team, please contact chloe.aust@zsl.org.